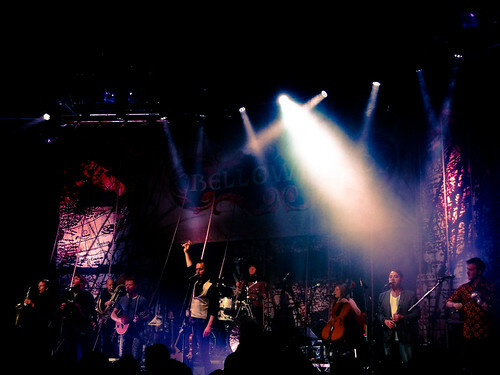 I think Bellowhead is probably my favourite live band. 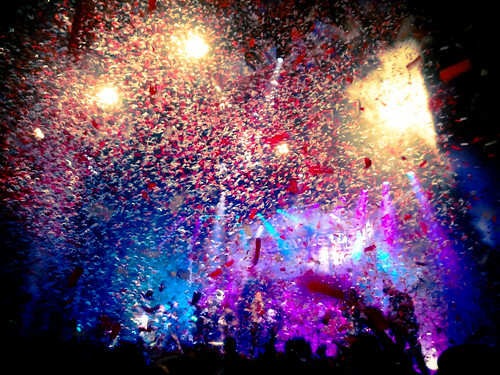 They’ve just started a new tour, and last night it reached the wonderful Roundhouse in Camden. Cue lots of dancing, jigging, and a bit of polka on the floor of the Roundhouse. 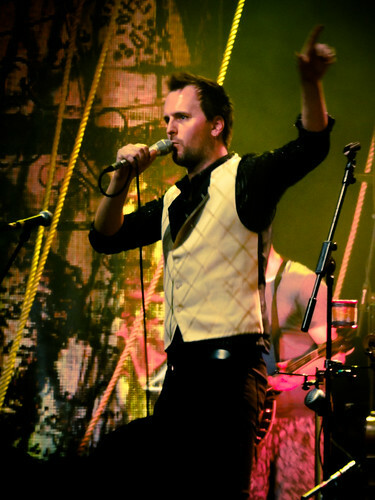 Watching Bellowhead makes you think that them going on tour is probably like throwing a large party each night. I’m certain I’d find it exhausting. And there are so many instruments on stage from fiddles to a full range of brass, but they all add to a wonderful sound that is superb of CD, but utterly brilliant live. I know they’ve played a few festivals recently, but seeing them at indoor venues where the music doesn’t drift away is definitely the way forward. Go and see them. I should add that I really enjoyed the support band – Mama Rosin from Switzerland. I shall be checking out their music. (I’d heartily concur with this Guardian review of last night’s show).